At the conference, compassion was the feeling that ruled—in the sessions and on the expo floor. Presenters, attendees, and exhibitors all demonstrated a true commitment to providing seniors with the best possible lifestyle…whether it’s in the furniture, shoes, or clothing they design; the architectural details they incorporate into buildings; the foods they prepare and serve; the transportation they provide; the health, accounting, and legal services they give; or the activities they create. The 8,000 people in attendance were diverse yet similar in one important way. Everyone believes seniors deserve the best we can give. We were thrilled to introduce Bridges to the LeadingAge community and were delighted to see the program embraced by the people who stopped by our booth. They truly understood what we are hoping to accomplish—to bring joy and purpose to seniors, and fun and learning to the children who share this experience with them. The positive response we received only strengthened our conviction that Bridges is truly something special. 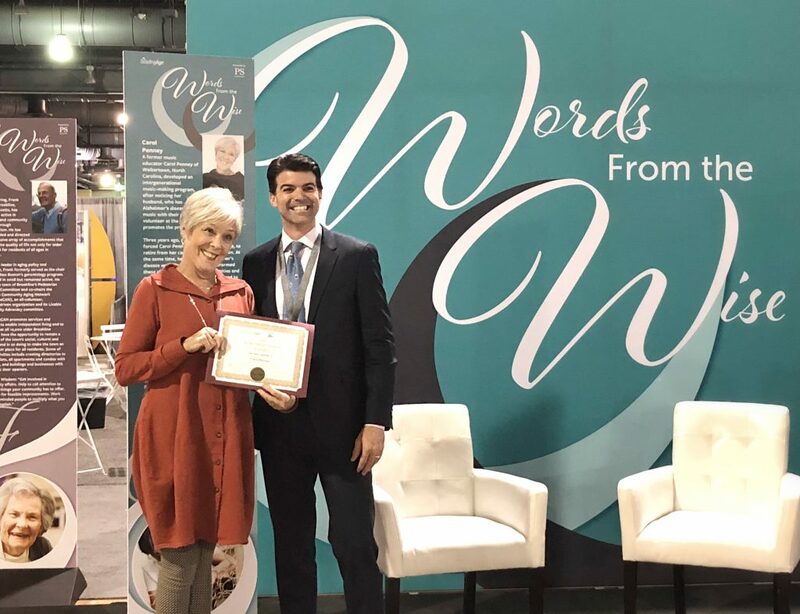 Adding to our excitement was the fact that our very own Carol Penney, Kindermusik’s legendary curriculum developer, educator, and trainer, was honored as one of ten “Living Legends” through LeadingAge’s Words from the Wise initiative. Carol was recognized for her volunteerism in championing and piloting Bridges after witnessing how her husband Carl, who has Alzheimer’s disease, responded to musical interactions with his young grandson. Carol’s photo and story were on display in the LeadingAge expo hall and in the courtyard of Philadelphia’s City Hall, as part of Leading Age’s Public Ageism Exhibit. We are so proud of her and this program! 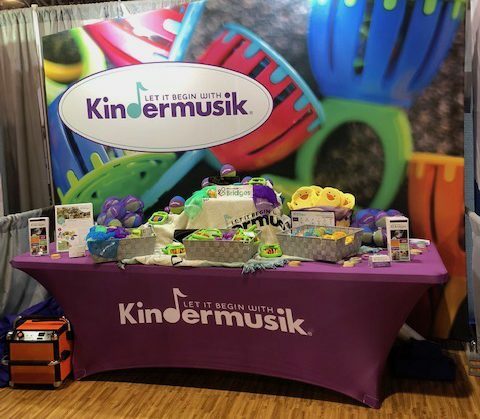 If you were at LeadingAge, you may have heard this Kindermusik song echoing across the expo floor; those of us who were in the booth can’t get it out of our heads. Fortunately, it’s a good one, and we think it will add a skip to your step today. So here’s to new beginnings, making connections, and building Bridges. For more information on Bridges, please visit our website, or shop for Bridges here. The post Kindermusik Takes LeadingAge appeared first on Minds On Music - Kindermusik.